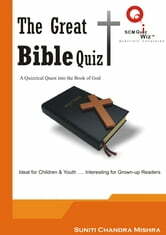 The SECOND book of SCM QUIZ WIZ series – THE GREAT BIBLE QUIZ (Part 1) -- is an ideal Quiz book for all. The Bible, together with the Quran (Koran) and other great scriptures of the world, is among the most widely read Books of the world. This Quiz book will not only serve as a barometer to test the reader’s knowledge about the Bible but also urge him or her to read this great scripture more and more and marvel at the treasure of knowledge and mysteries it enshrines. 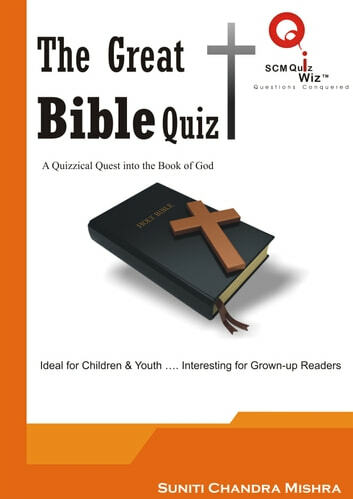 The intelligently selected quizzes – assorted in 6 Sections and mostly based on stories than on details – are great for children and youth who are less familiar with the contents of the Holy Book, but they are equally interesting for grown-up readers who would like to refresh their knowledge of the Bible. There is a Score-Board in the end of each section. Ideal for self-study or Quiz Contests at schools or Churches! Lord, You Didn’T Bring Me This Far to Leave Me!! !